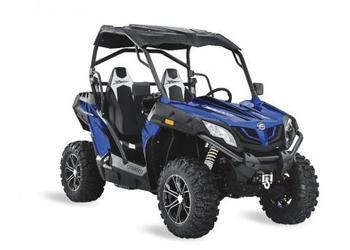 The recalled ZFORCE vehicles have “CFMOTO” stamped on the front grille, a “CFMOTO” decal on the bottom of the cab frame and a “ZFORCE” decal located on each side of rear box compartment. CFMOTO ZFORCE vehicles were sold in orange, blue, red and gray. The vehicle identification number (VIN) is located on the right-side frame rail just forward of the right rear tire. The ROVs, manufactured in China, were sold at CFMOTO dealers nationwide from January 2018, through July 2018, for between $9,000 and $14,000. Consumers should immediately stop using the recalled ROVs and contact a CFMOTO dealer to schedule a free repair. CFMOTO is contacting all registered owners directly. Consumers may contact CFMOTO toll-free at (888) 823-6686 from 8 a.m. to 5 p.m. (CT) Monday through Friday, by email at info@cfmotousa.com or online at www.cfmotousa.com and click on “Customer Care” at the top of the page and then “Vehicle Recall” for more information.